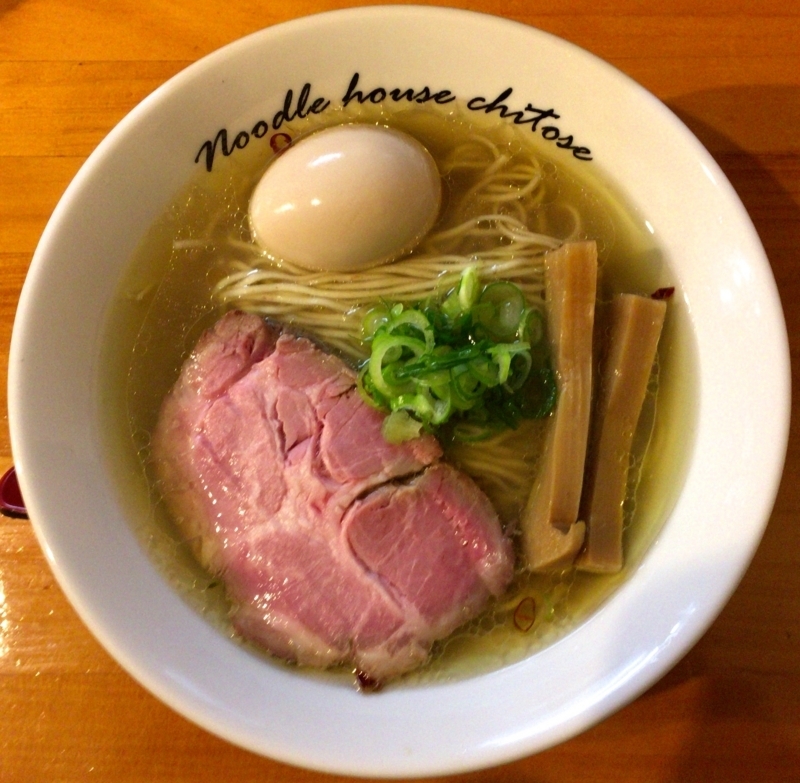 There are many excellent noodle shops in Tokyo. 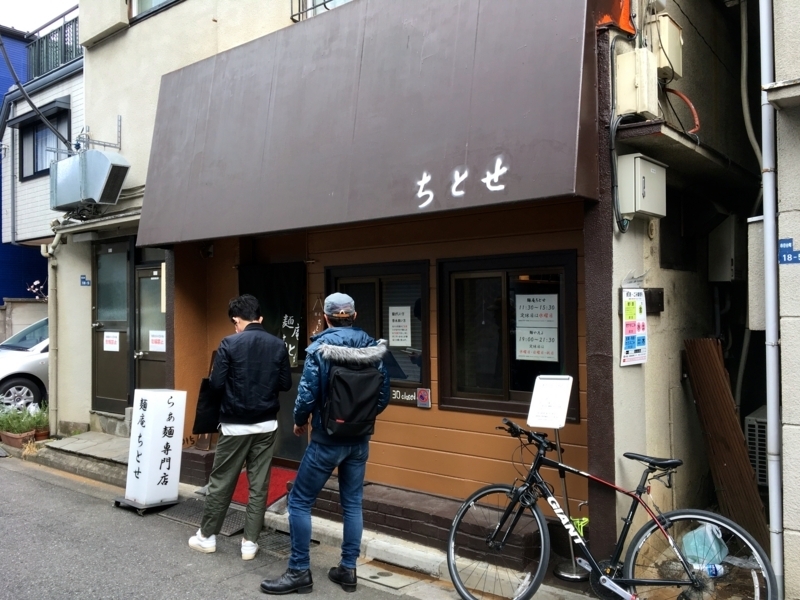 And recently many young people start a ramen shop. Speaking of the best store among them, it is "Chitose" near Akebashi station. That young ramen chef is full of talent. Soy sauce · salt · Dandan noodles. 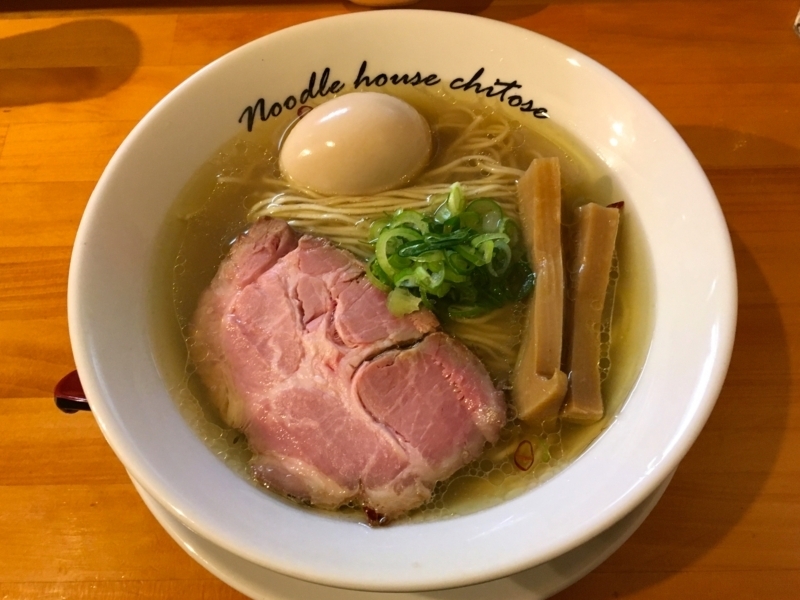 Everything in that store 's ramen is wonderful. This time, I picked out salt ramen and ate it. 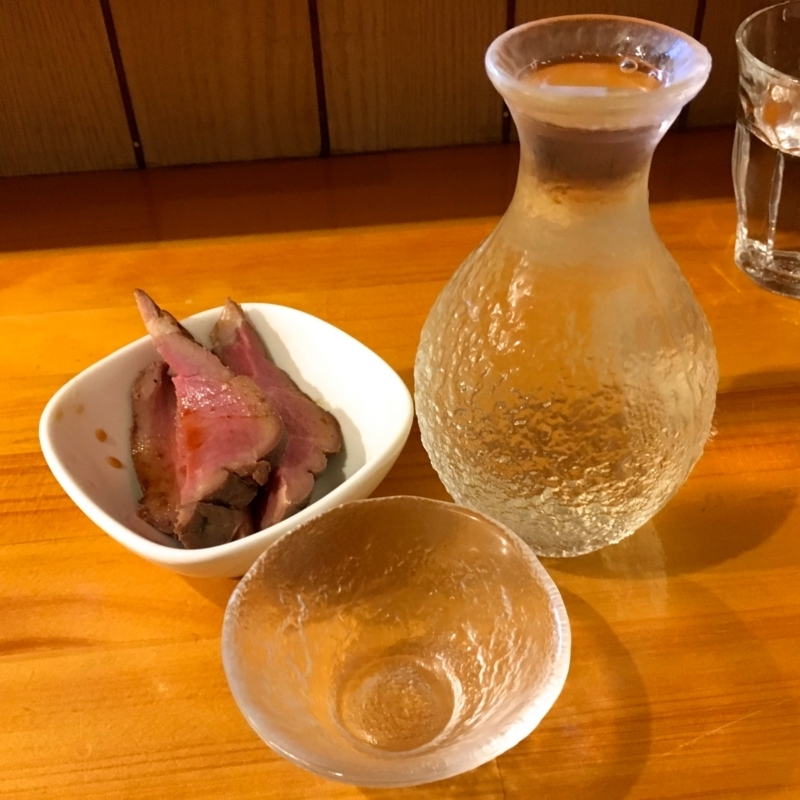 Before eating ramen, I drank sake. It's only done at weekends. I feel the most pleasure at that moment. Then, after that, eat delicious ramen. I feel exactly happiness. 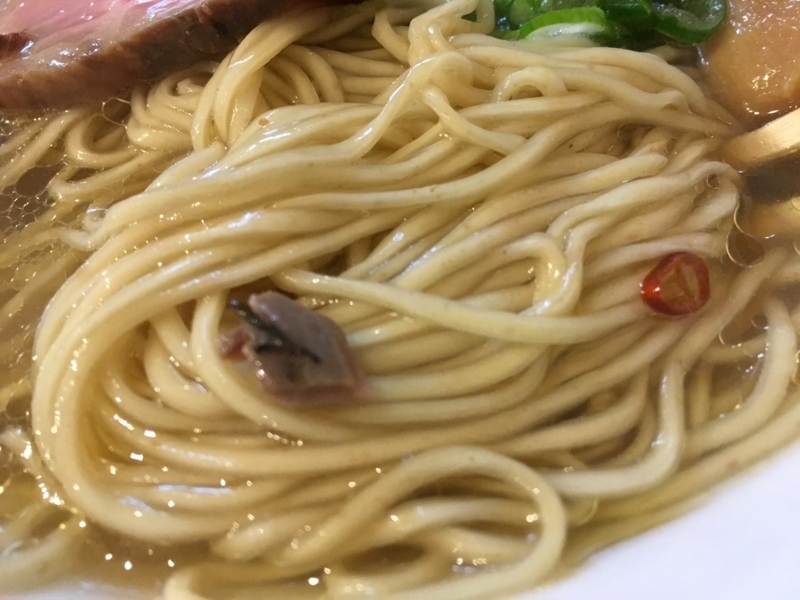 That salt ramen is very beautiful. Soup, Chasyu, Menma, Ajitama etc, all have well-balanced hues. The soup is very elegant. It plenty contains the flavor of chicken and it is well connected with fine salt. All of the salt seems to have been selected from many sea salt and rock salt with high quality. As a result, salt of Okinawa and rock salt of Mongolia were chosen. But the soup is not salty. It is a very natural and gentle taste. Perhaps I feel that the taste of kelp etc. is included. Noodles are homemade. 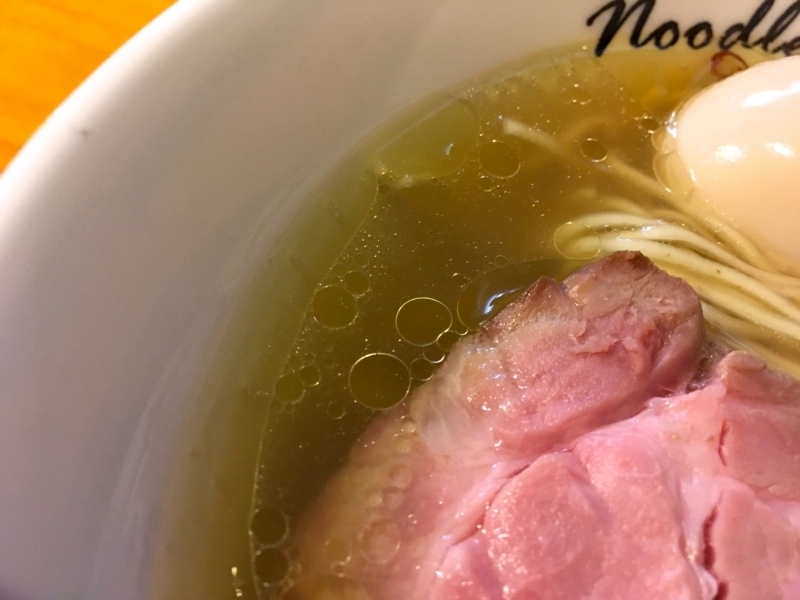 This ramen chef has talent for making soup, but it is the same for noodle too. 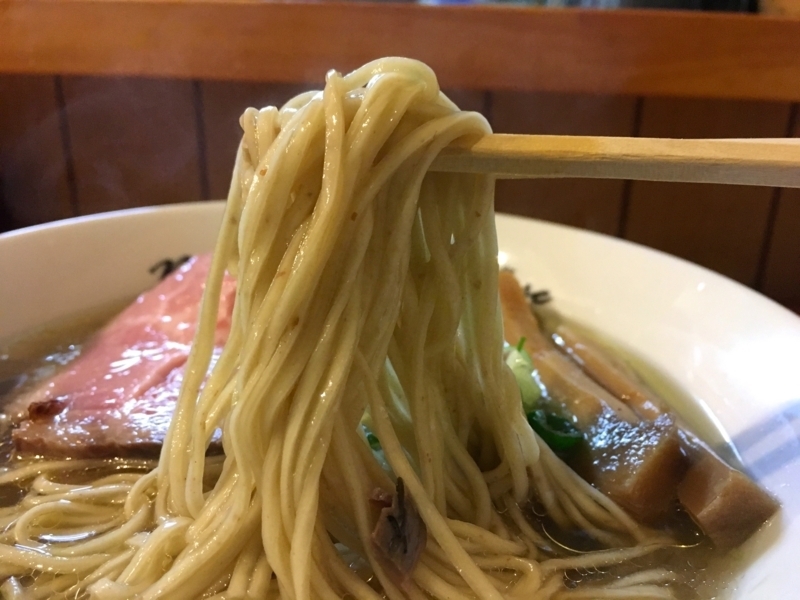 The noodle is thin, straight and supple. It absorbs the soup and combines with the flavor of the flour. Indeed, gluten is broken down into starch and exerts its purity. Ajitama is also delicious. 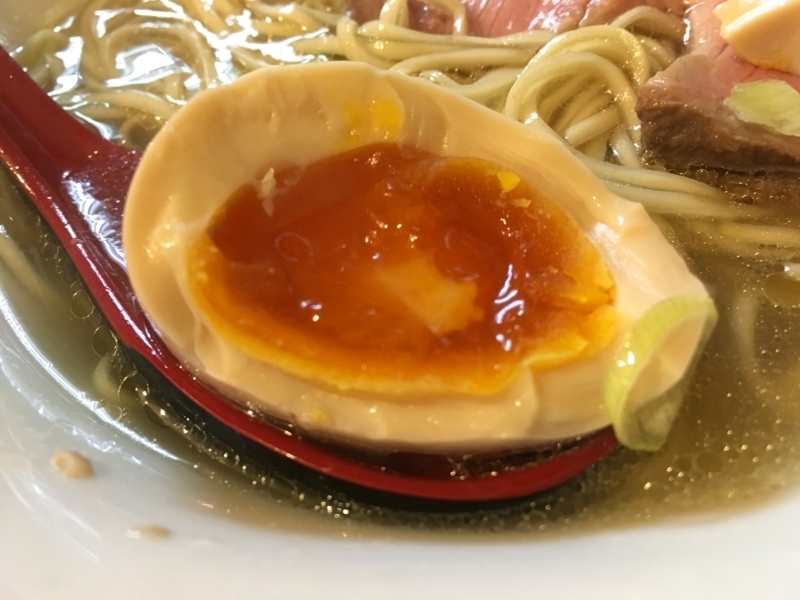 Ran pounding like a pudding, egg yolk is like a rich sauce. And Chasyu is superb. 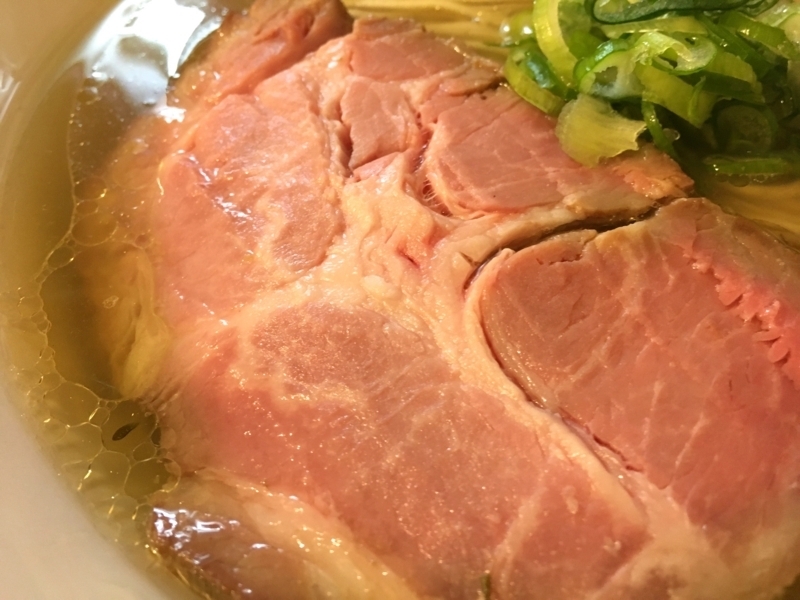 It is a thin salty taste, integrated with the purity of the meat. And it is very soft and entertains me. When I eat this meat, I also want sake. 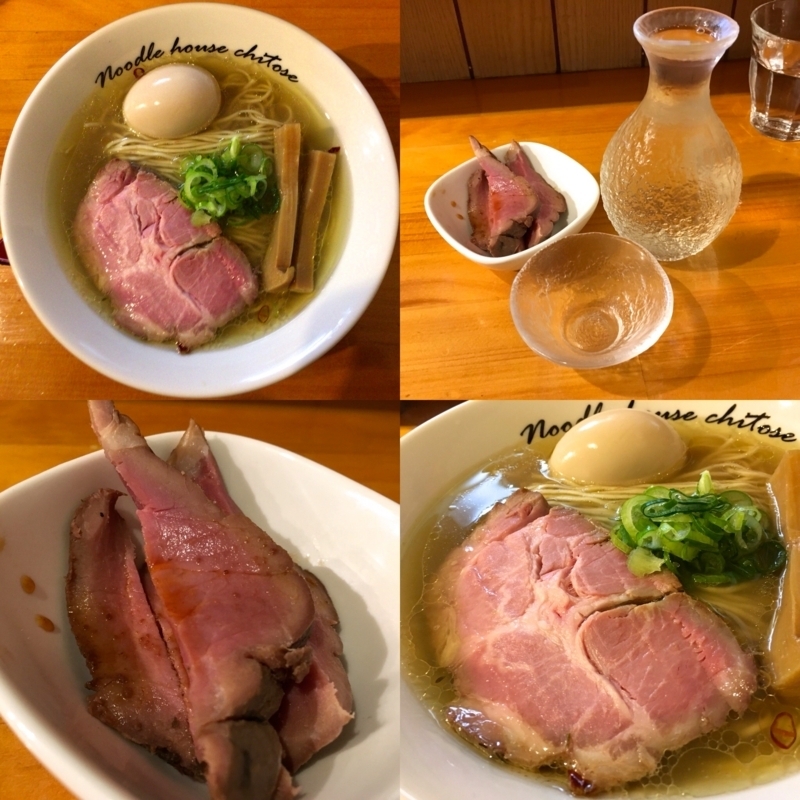 If you are a ramen fan living in Tokyo, you should eat it at once. I think that I am surely satisfied. 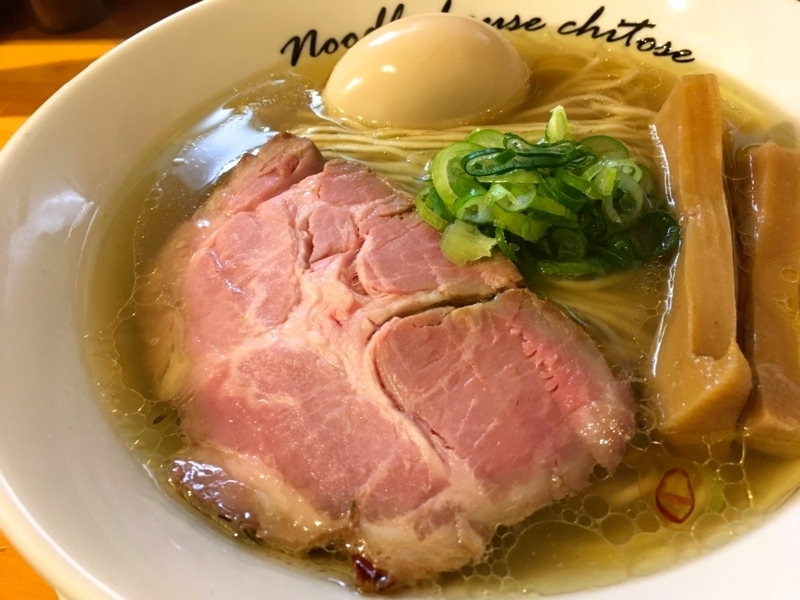 Thank you for delicious ramen today too!